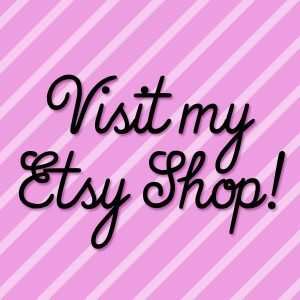 I sat down and worked out patterns for a few new squares as well, and starting planning out my blanket. 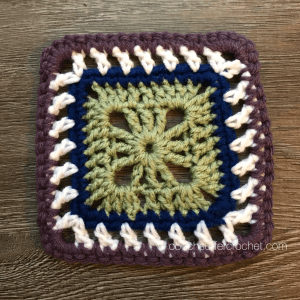 I realized pretty quickly that in order to ensure the proper sizing for each square, I would need to adapt the Treble Starburst Square, but only very slightly. For the purposes of this blanket, we will be skipping Round 3 of the original pattern. That way all the squares are the same size when we are ready to piece them together in Week 7! And voila! 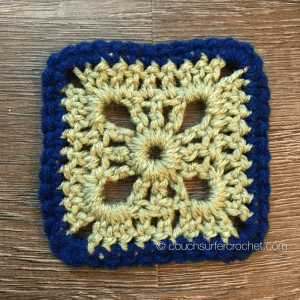 There you have the adapted Treble Starburst Square! 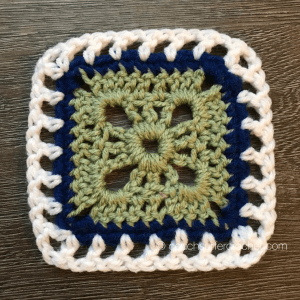 Don’t forget to make 4 of these squares. Next week we will making a simpler square pattern, so we will making 8 squares. See you then! 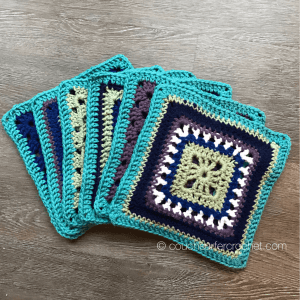 If you don’t think making a bunch of squares is for you, check out the Mixed Stitch Blanket CAL. It’s done in rows with lots of stripes! 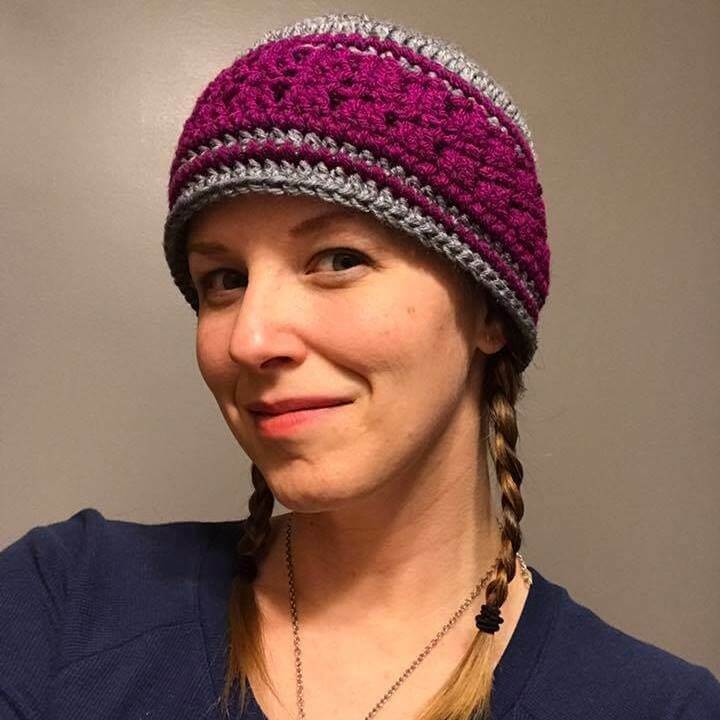 In the meantime, we’d love to have you in the Couch Surfer Crocheters Facebook group. 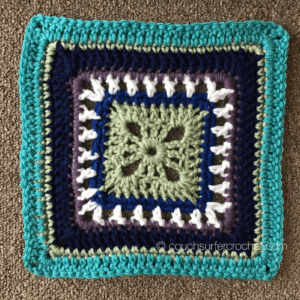 We have an awesome and supportive group, and I’d love to see your finished squares if you’d like to share them!